The Department Chair of Samford’s Department of English, Dr. Brad Busbee studies medieval Germanic and modern Scandinavian literatures with particular interest in how medieval texts like Beowulf and The Canterbury Tales work and how, in modern times, these texts have been put to various uses that serve the needs of modern communities. He is a co-editor for Grundtvig-Studier, which is published in Copenhagen, Denmark, and he serves on the editorial boards for LATCH: Literary Artifact in Theory, Culture and History and Medieval Perspectives. He is the author of Translating the Past: Essays in Honor of Marijane Osborn (ACRMS) and Approaches to Teaching the Middle English Pearl, which is forthcoming from the Modern Language Association. He is currently working on a monograph about the pioneering Beowulf scholarship of the nineteenth-century priest, poet and politician N.F.S. Grundtvig. 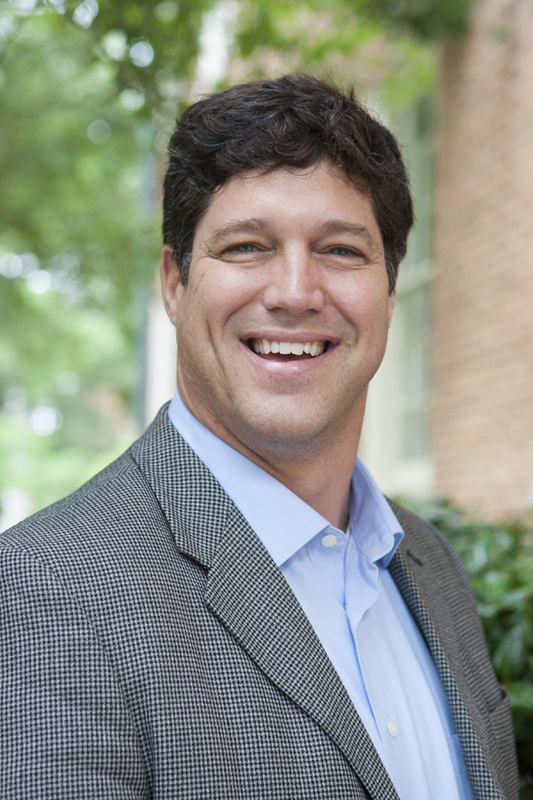 Before coming to Samford University in 2013, Dr. Busbee was Associate Professor and Chair of the Department of Language and Literature at Florida Gulf Coast University (2006-2013). He held a post-doctoral fellowship at the University of California, Davis, in 2005-06, a visiting lectureship at Johannes Gutenberg Universität in Mainz, Germany, in 2004-05, and a Fulbright Fellowship to Denmark in 2003-04. Dr. Busbee and his wife, Kathleen, live in Homewood, Alabama, with their three daughters, Kamilla, Suzanna, and Sadie, and their son, Elias. Translating the Past: Essays on Medieval Literature in Honor of Marijane Osborn, co-edited with Jane Beal Tempe: AZ: Arizona Medieval & Renaissance Texts and Studies, 2012. Approaches to Teaching the Middle English Pearl (forthcoming from MLA, co-edited with Jane Beal). Translation: “A few words about the recently published Anglo-Saxon poem, the first edition of Beowulf” (Et Par Ord om det nys angelsaxisk Digt). Grundtvig Studier (2015): 1-55. “Performative Cannibalism in Richard Coer de Lion.” Medieval Perspectives 30 (2015): 195-216.
Review of Weaving Words and Binding Bodies: The Poetics of Human Experience in Old English Literature. Choice: Current Reviews for Academic Libraries. September 2016.
Review of School for Life and Living Wellsprings, translated by Edward Broadbridge. Grundtvig-Studier (2015): 207-14. “Holy Grail in Christianity and Literature.” (Co-authored with Gareth Griffith of Bristol University in the UK) The Encyclopedia of the Bible and Its Reception (EBR). Vol. 9. Berlin: De Gruyter, 2015. “The Case for a Sleeping Spell in Beowulf.” Medieval Perspectives 29 (2014): 121-132. “The Idea of India in Early Medieval England.” India in the World. Ed. Bernd Dietz, Cristina Gámez and Antonia Navarro. New Castle upon Tyne, UK: Cambridge Scholars Press, 2011. 3-16. “Grundtvig and Tolkien on Beowulf: A Comparative Analysis.” Grundtvig-Studier (2010): 12-30. “A Paradise full of Monsters: India in the Old English Imagination.” LATCH: A Journal for the Study of the Literary Artifact in Theory, Culture, or History. (November 2008): 49-70. “How Nationalism Enhanced the First Translation of Beowulf.” Transverse: A Comparative Studies Journal. 7 (Spring 2007): 64-80. “An explication of the first (mostly) accurate modern essay about Beowulf: ‘Et Par Ord om det nys udkomne angelsaxisk Digt’ by N.F.S. Grundtvig” Southeastern Medieval Association Conference 2015. Little Rock, Arkansas. 23 October 2015. Keynote Address: “Grundtvig and the Living Words of Beowulf.” Seminar om Beowulf i Selskab for Nordisk Filologi. Copenhagen, Denmark. 8 October 2015. “China in Robinet Testard’s Preservation Fantasy.” Southeastern Medieval Association Conference 2013, Boone, North Carolina, 4 October 2013. “The Old English Wonders of the East as Pre-National, Imaginary Travelogue.” 42nd Annual Conference of the College English Association, St. Petersburg, Florida, 31 March 2011. “‘O serpent under femynynytee’: The Lamia in the Man of Law’s Tale.” 36th Meeting of the Southeastern Medieval Association, Roanoke, Virginia, 19 November 2010. “N.F.S. Grundtvig and the Rise of English Medievalism.” 21st DeBartolo Conference, University of South Florida, Tampa, Florida, 2 April 2010. “The Degenerative Cultural Effects of English Translation on Navajo Ritual.” 125th Annual Meeting of the Modern Language Association, Philadelphia, Pennsylvania, 28 December 2009. “Encounters between Vikings and Persians on the Silk Road.” 44th International Congress on Medieval Studies, Western Michigan University, Kalamazoo, Michigan, 8 May 2009. “The Love Engendering Letter in the Old English Apollonius of Tyre.” 80th Annual South Atlantic Modern Language Association Convention, Louisville, Kentucky, 8 November 2008.